Piece of mind in minutes. Click on one of the Quick Links that best describe why you’re here, or scroll down to find information about all of our estate planning services. Most people are hesitant to consider estate planning options for a variety of reasons. No one wants to think about his or her death and its consequences. It is also sometimes difficult to decide on the specifics surrounding the "plan" in the event of your death. Red Oak Law understands that this is a hard topic for most people to tackle head-on, and will shepherd you through this process in a comfortable way. Individuals, for reasons including advanced age, physical or mental illness, or substance abuse issues, sometimes lose the capacity to make decisions on their own. If this describes a member of your family, it may be necessary to have someone appointed as guardian of that individual. Red Oak Law can collaborate with you and your loved ones through this trying procedure. As a large percentage of the population reaches or passes retirement age, many seniors are facing a variety of issues including but not limited to nursing care, Social Security, Medicare, and pension or 401(k) distributions. Whether you or a family member is in need of guidance, Red Oak Law is ready to aid in cutting through the red tape to get you the result you deserve. Parents or caretakers of family members who have special needs often face additional challenges when it comes to designing an estate plan that properly accounts for their loved ones. Red Oak Law can provide a helping hand by tailoring a plan that provides for resource management while preserving eligibility for additional resources. Sometimes, the dynamics surrounding the decedent's passing are such that no family member or designee is available or otherwise able to serve in an administrative capacity. 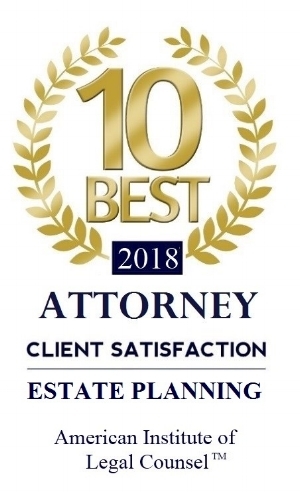 Red Oak Law stands ready to administer in regard to probate matters (where the decedent did not leave a will) or to help in administering the trust established as part of the decedent's estate plan. Business owners are rightfully focused on projecting their business plans over the next year to five years, but what if something happens to the owner? Red Oak Law can work with you and your organization to put a plan in place to allow your company to thrive, even in your absence. Most people assume that, in the event of their demise, a friend or relative will take in their pet. A pet is typically considered part of the personal property of the estate and can be distributed as such absent any direction to the contrary. Luckily for pet owners, both Wisconsin and Illinois have statutes which permit the creation of a trust for the purpose of providing for continuing care for these animals. Red Oak Law will establish a pet trust, upon your request, as part of its estate planning offerings. Owners of NFA or Title II firearms must take extreme care when determining how and to whom to pass these weapons at their time of death. An inheritance of a firearm falling into one of these categories could leave the heir in violation of the law. Red Oak Law can assist in establishing the appropriate gun trust to steer your family members clear of potential future legal issues. Start down the path to providing for your loved ones by taking a few minutes to complete this form. The information provided will be used to tailor an estate planning solution unique to you and your circumstances. Thank you! We will be in contact within one business day to discuss your estate planning solution. Until then, should you have any questions, please call Red Oak Law at (262) 345-4430. 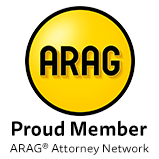 Please note that the submission of any information through this inquiry is for the purpose of determining whether representation through Red Oak Law is a good fit for all parties, and does not in and of itself create any type of attorney-client relationship.